A regular exercise routine has many rewards. From making you stronger to relieving stress, physical activity helps keep you happy, healthy, and well. The entire staff at Powell Wellness Center (PWC) is dedicated to assisting and encouraging you to achieve the many benefits of regular exercise and healthy living. All PWC members are provided the opportunity for a FREE fitness assessment yearly. During the assessment, our experienced exercise specialists help you learn more about your current fitness level by conducting a series of biometric, cardiovascular, flexibility, and strength tests, giving you a baseline of your current fitness level. They assist you in defining attainable short- and long-term health and fitness goals. We evaluate and consider your health history, personal needs, and specific goals to create an individual plan that is both doable and fun! Get your questions answered and take all the guesswork out of designing a fitness plan that works! Make the most of your membership! 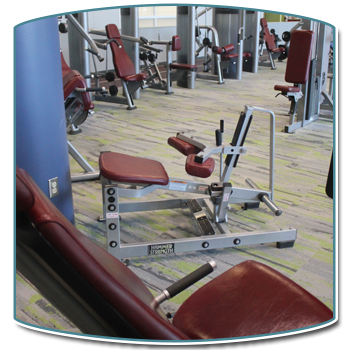 For more information or to schedule your fitness assessment, stop by the Front Desk or call us at 540-445-5406. Our goal is to offer people of all ages and backgrounds the ability to safely enhance their health, physical fitness, and athletic performance in a medically-sound environment.